Looking for a clean and safe toilet seat that you can trust and rely upon to last for years and also stay bacteria free? 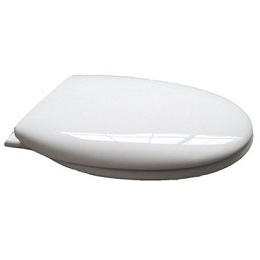 The Croydex Anti-Bacterial toilet seat is the perfect solution for any bathroom that needs a sturdy and reliable toilet seat for a good price. Making the most of the powerful Hygiene ‘n’Clean anti-bacterial treatments, you can rely on the Croydex to massively reduce the amount of bacteria and germs that can appear on your toilet seat over a period of time. This leaves you with a sterile and safe toilet place. The hinges and fittings are all white so if you have a white toilet, this is the perfect colour for you. it’ strong, it’s got durability and resistance as well as the coats of anti-bacterial property. This is the best choice on the market at the moment when it comes to picking the right toilet seat that is going to keep you clean and comfy! At Just about £30, this is an absolute steal so if you are sick of travelling from store to store looking for a reliable toilet seat then look no further because this might just be the perfect choice for your throne!